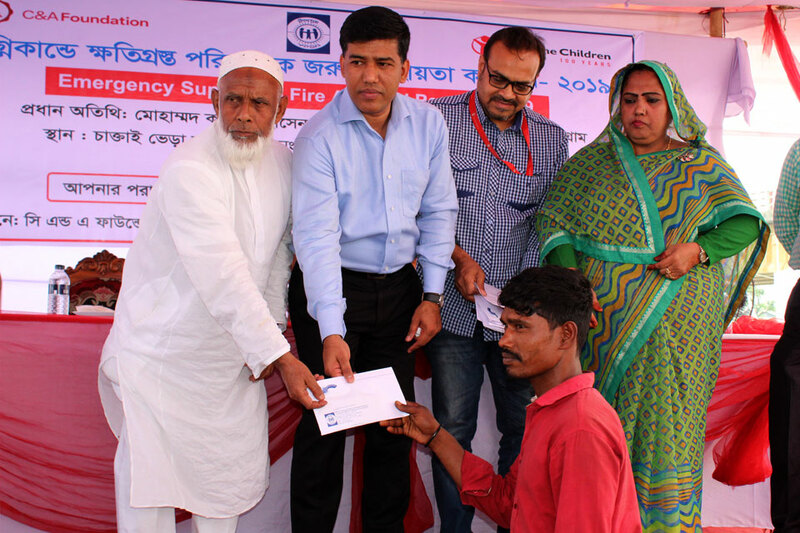 YPSA has distributed emergency cash support to 182 families affected by recent fire incident which took places at a slum in Chaktai area of Chottagram. Each family of Bhera Market area received BDT 11,500 with the support of Save the Children and C&A foundation. 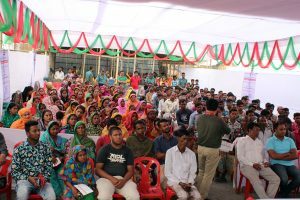 The cash distribution program was held on 27nd March, 2019 at the fire affected area of Chattogram. 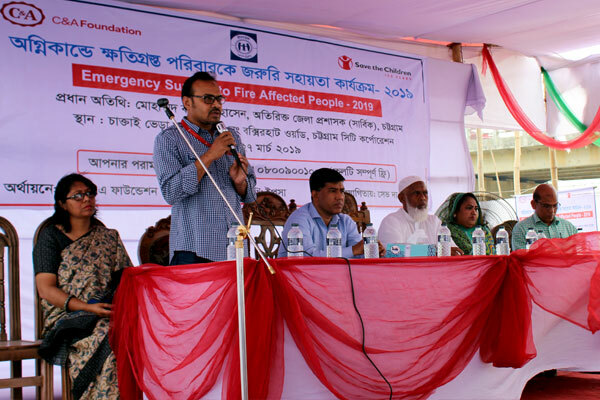 However, slum people of Chaktai Bhera Market area had experienced a severe fire incident on 17thFebruary, 2019. 10 people were killed by this devastating fire. 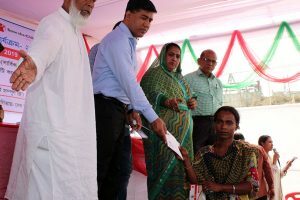 This fire incident causes displacement of slum dwellers and these poor people lost their almost all assets including cash. 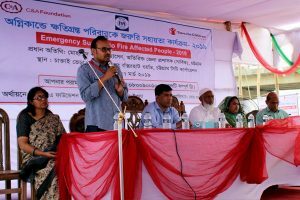 Mr. Alhaj Nurulhaque, 35 no. 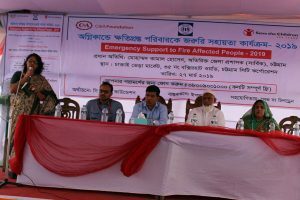 Ward Councilor; presided over the meeting while Mrs. Lutfunnesa Dovash, Councilor (reserved), Mr. Abul Kalam Azad, DRRO; Mr. Syed Matiul Ahsan, Deputy Director of Save the Children; Mrs. Nasim Banu, Deputy Director- Social Development were also present there as special guest.